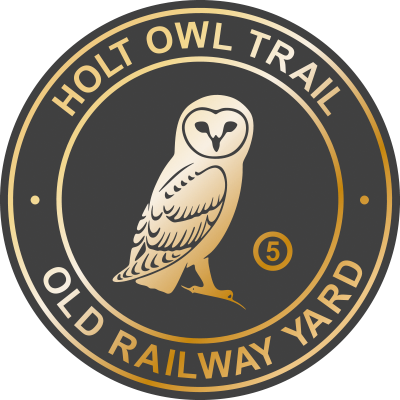 The Railway Tavern was the latest public house to close in Holt. 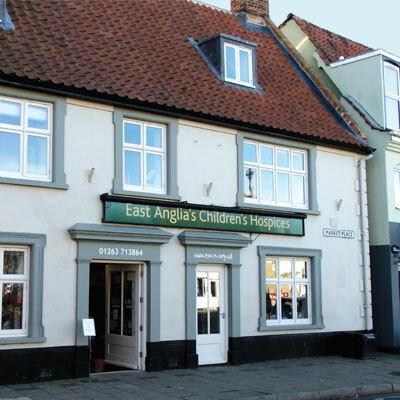 It now houses the EACH charity shop (East Anglia’s Children’s Hospices) which was opened by HRH The Duchess of Cambridge on 18th March 2016. 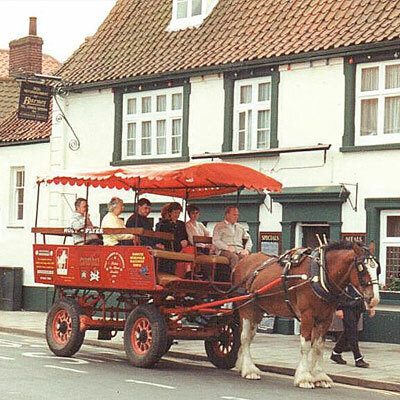 The highly popular horse-drawn ‘Holt Flyer’ operated from Old Railway Yard from 1991 to 2004 bringing passengers into Holt from the North Norfolk Railway terminus at High Kelling. Today, during the holiday season, a London Routemaster bus meets the steam and vintage diesel trains that run along the ‘Poppy Line’. Travelling through some of North Norfolk’s most outstanding countryside the line connects with the seaside resort of Sheringham via the beautifully preserved railway station at Weybourne. Please take care when crossing Station Road to Plaque 6.